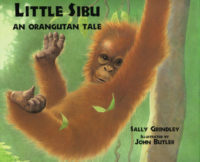 Bedtime in the Jungle – Peachtree Publishing Company Inc. 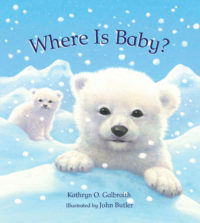 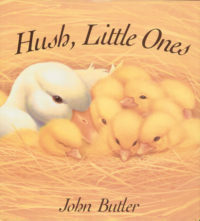 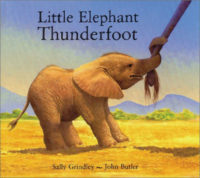 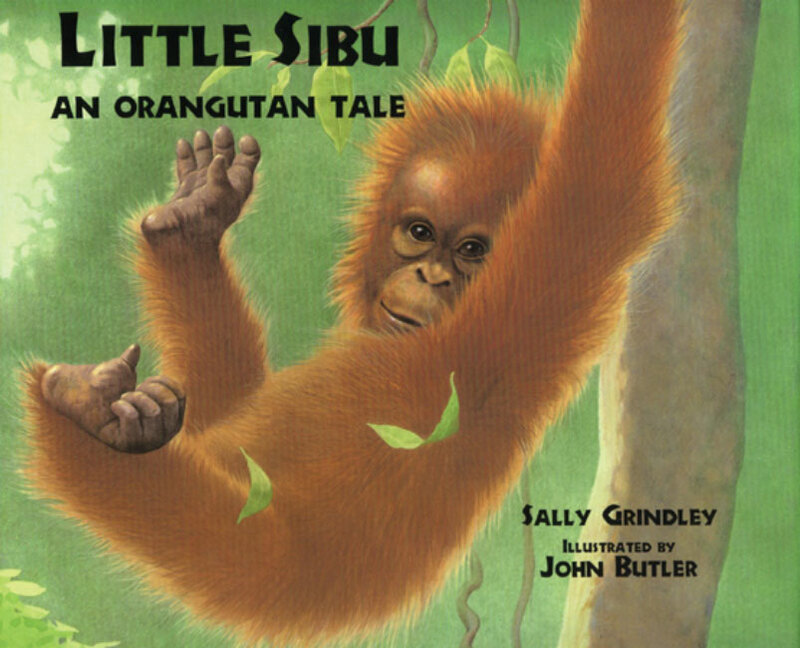 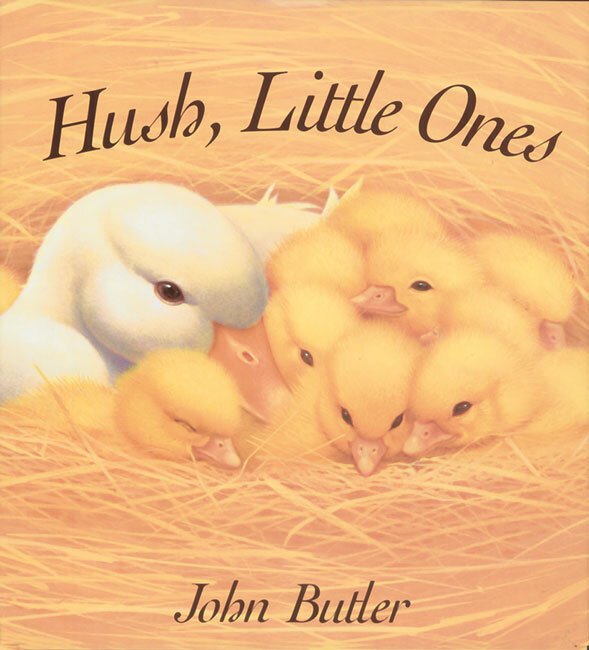 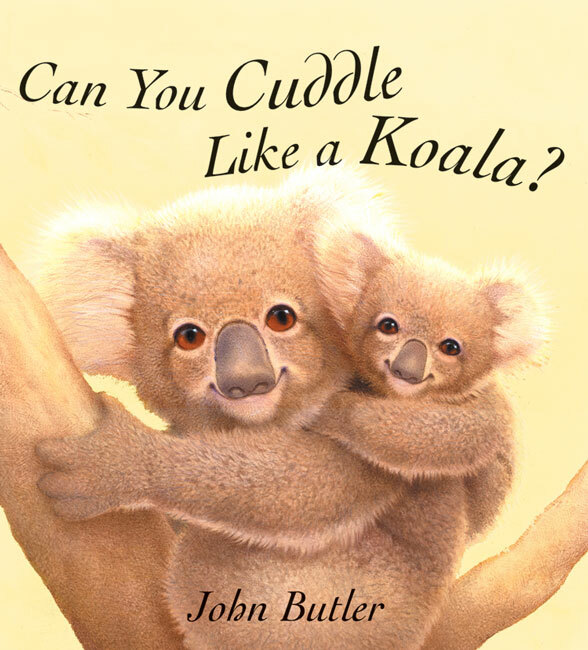 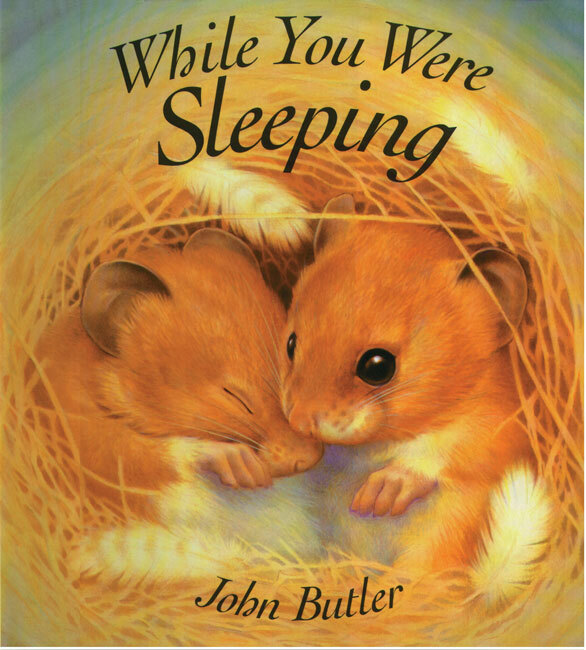 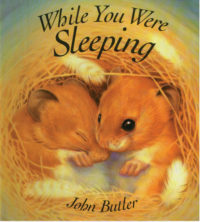 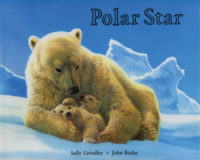 Enjoy this gorgeous bedtime counting story from acclaimed author-illustrator John Butler. 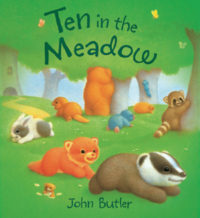 As nighttime approaches, mother animals and their babies are settling down. 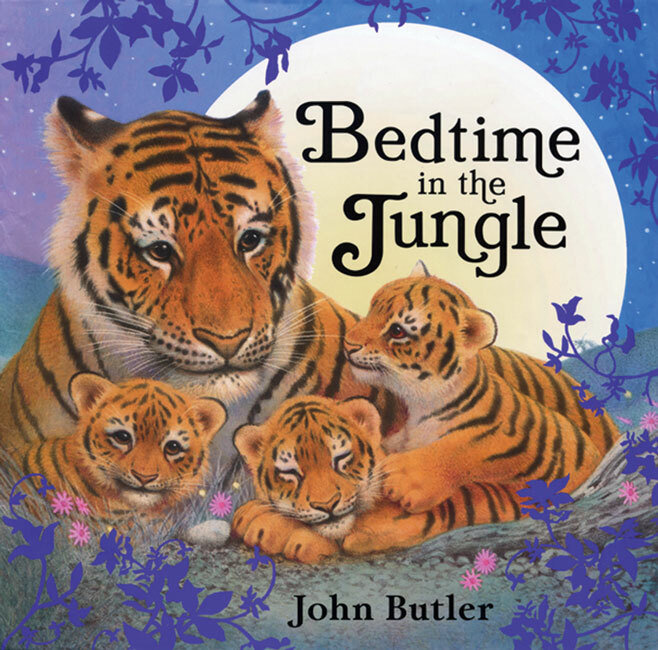 A monkey makes a bed for her two babies, and a leopard tucks in her three little ones. 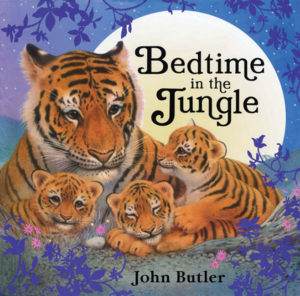 By the time readers arrive at the stunning gatefold illustration at the end of the story, a herd of ten elephant babies is nodding off, and silence finally settles over the jungle. 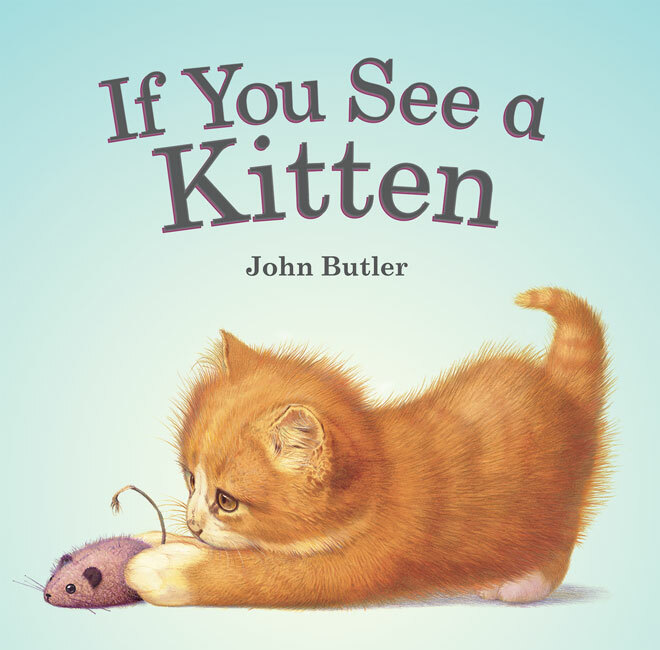 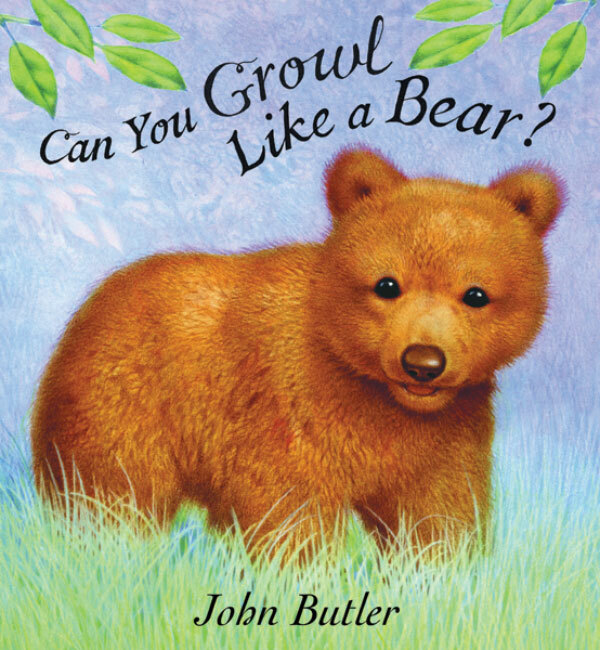 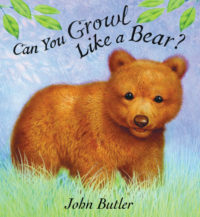 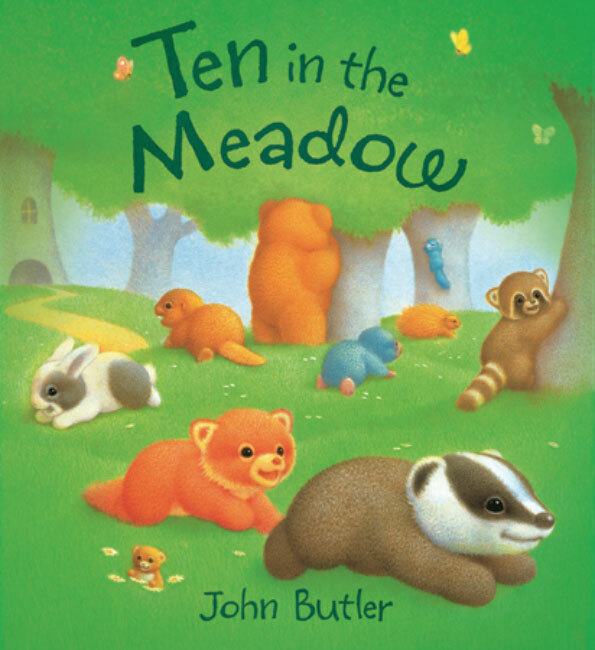 Written in the style of the familiar children’s song “Over in the Meadow,” John Butler’s richly illustrated rhyming story will satisfy and comfort readers of all ages.